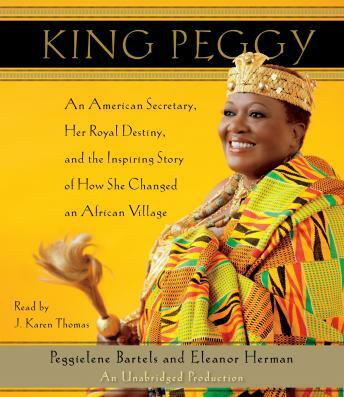 Listen to "King Peggy: An American Secretary, Her Royal Destiny, and the Inspiring Story of How She Changed an African Village" on your iOS and Android device. King Peggy is an inspirational book filled with warmth, charm, humor, and challenge. King Peggy herself is a extraordinary person: dedicated, determined, courageous, forthright, sometimes humble, and sometimes forceful. The audiobook version is very well done: the reader performs with a very convincing Ghanaian accent and voice qualities which denote the different persons in the story. Listening to this version has been total enjoyment.